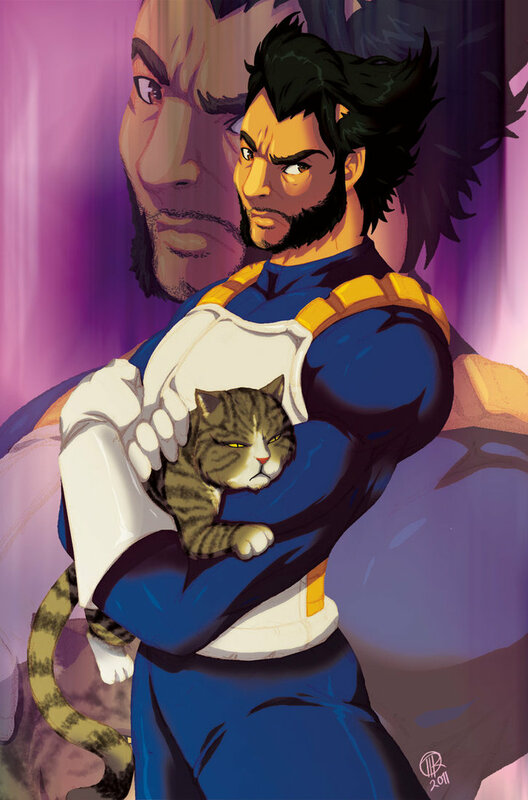 "Hugh Jackman as Wolverine dressed as Vegeta holding Maru the famous youtube cat that loves boxes," by TovioRogers. 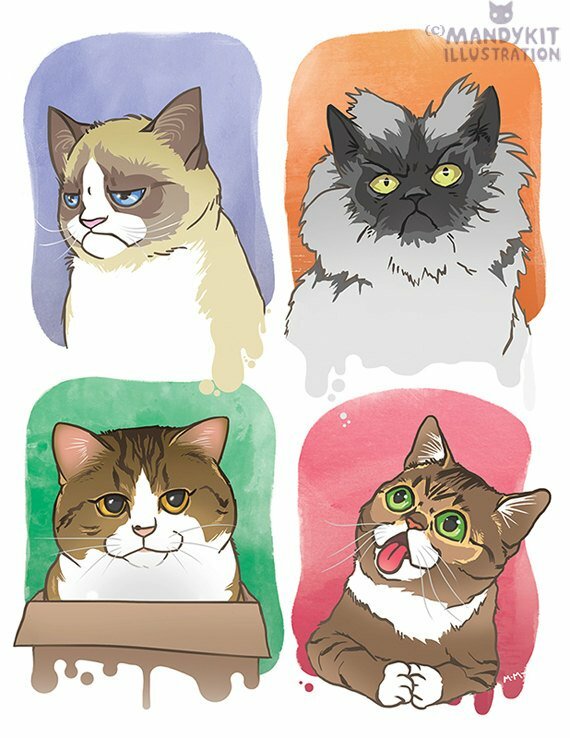 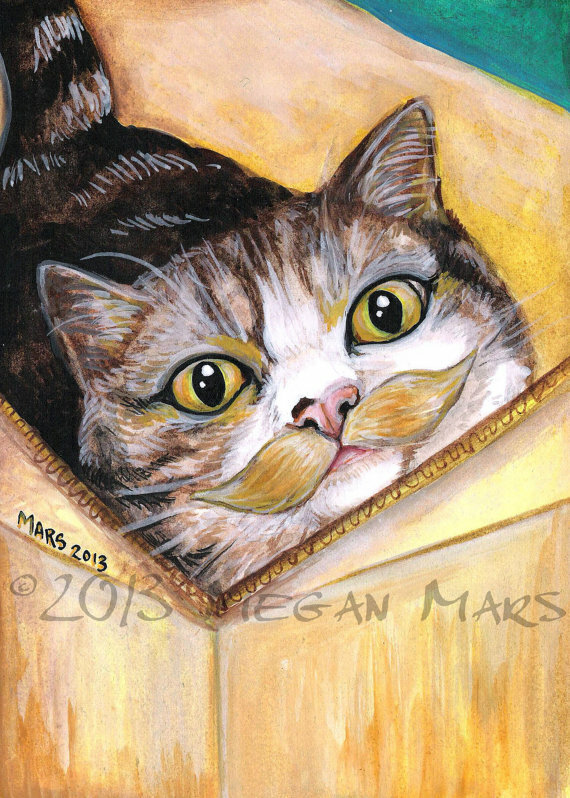 Etsy seller zarmandyr; Maru with Lil Bub, Colonel Meow, Grumpy Cat. 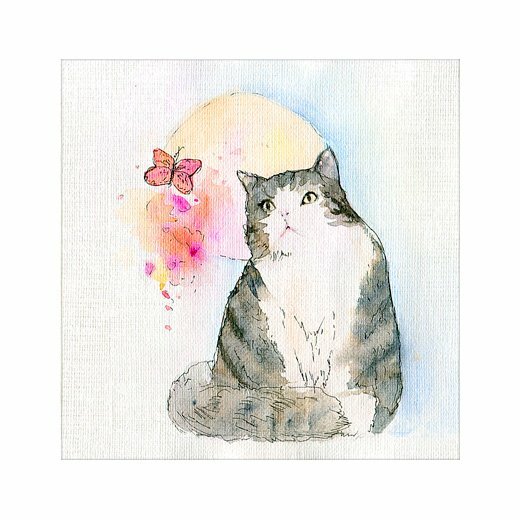 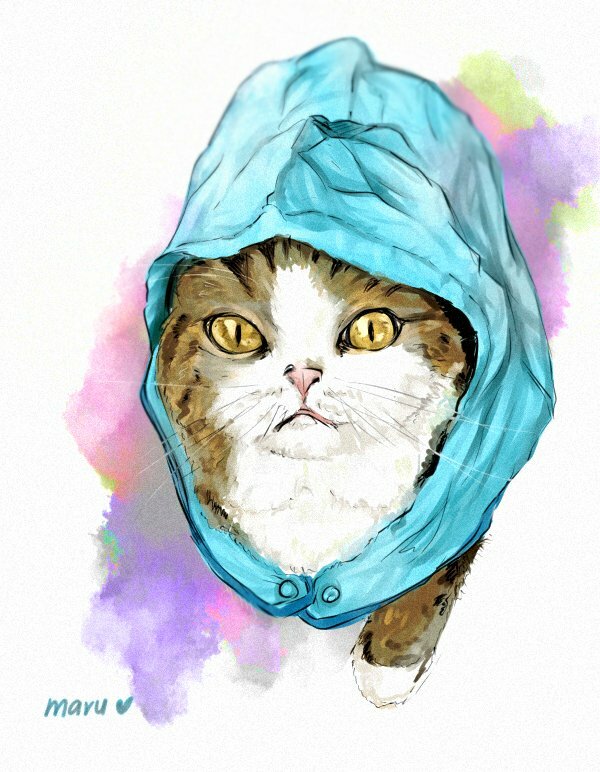 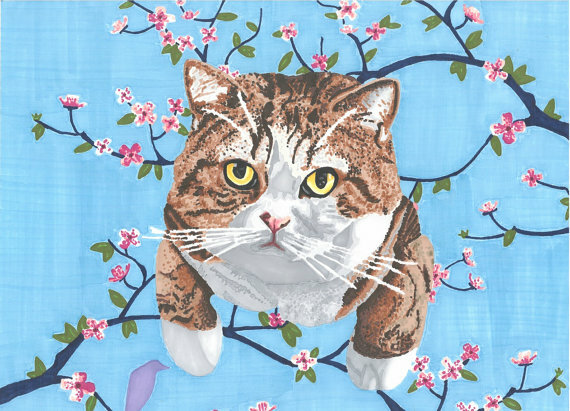 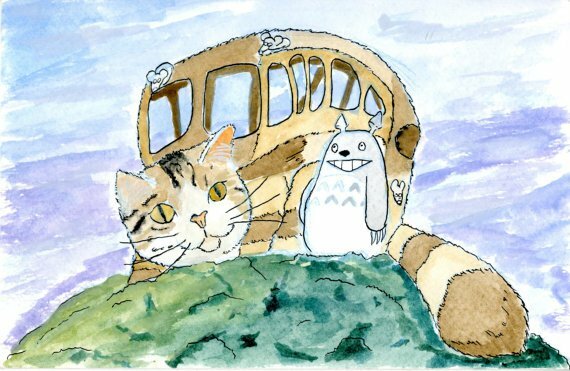 Are you feline this collection of Maru fanart? 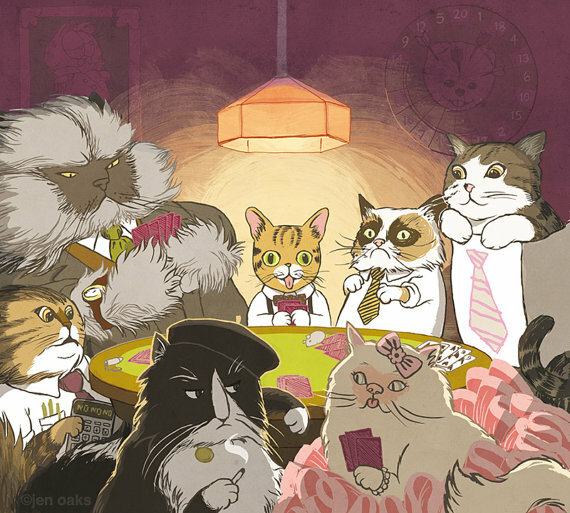 ‘Cause we think it’s the cat’s pajamas. 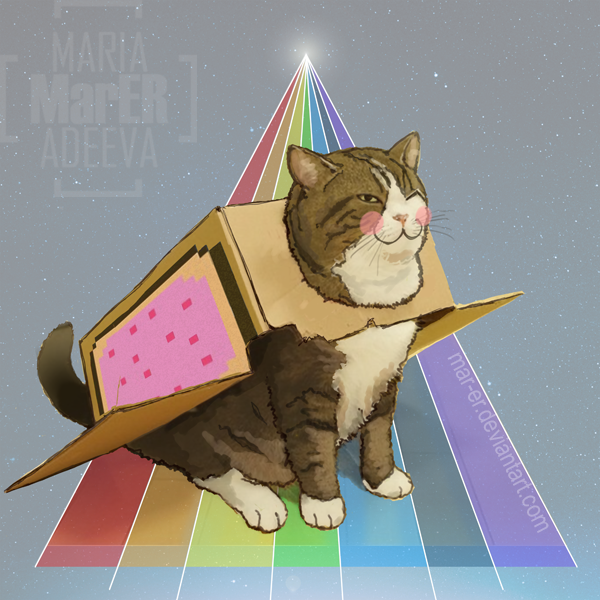 No kitten! 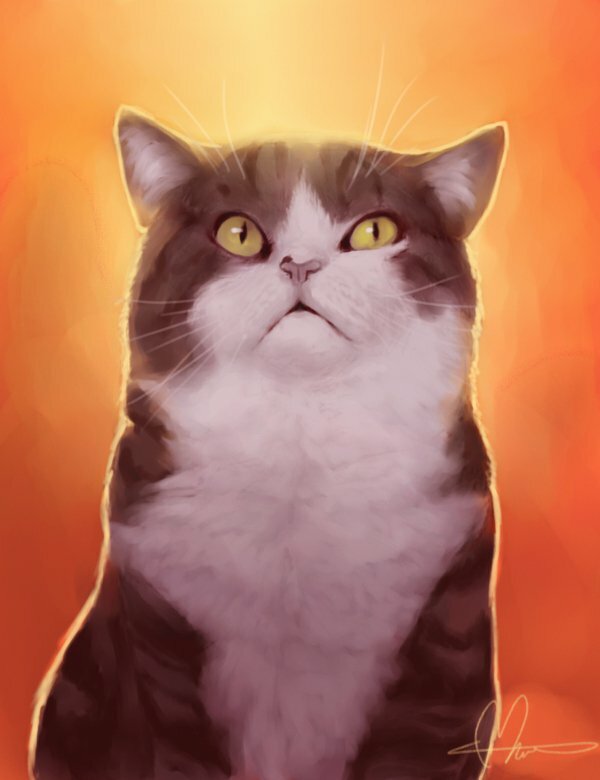 But if you’re a purrson who thinks it’s less than meownderful, of claws we’ll find it in our hearts to furgive you.